Within a few minutes of the hilltop village of Gordes, in the shade of its ancient plane trees, this painstakingly restored "bastide" dates back to the 17th and 18th centuries and is currently run as a prestige guest house. It has around 900 sq m of living space (13 en-suite bedrooms, large living rooms). 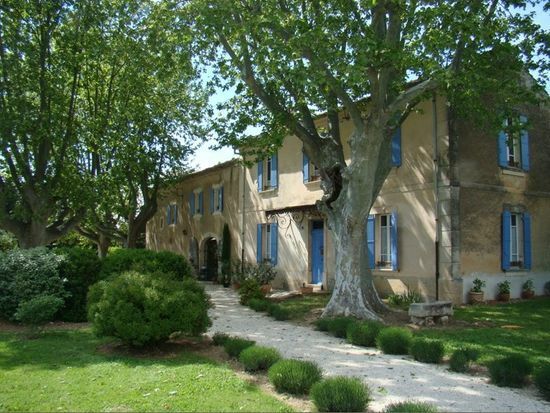 Its 5 hectare plot is planted with lavender, cherry and olive trees and the beautifully landscaped gardens are fragrant with roses, irises and the herbs and plants for which Provence is so famous. The heated large pool with its pool house enjoys stunning views of the Luberon, as do the majority of rooms and terraces of the property.